Bharti has made us laugh on her countless jokes and perfect comic timing. She is just incredible, how anyone can not be in love with the cute girl ‘LALLI’? She may have flirted with many men on screen, but off screen there is only one man who is the center of her world. That lucky man is none other than Harsh Limbachiyaa. Today we will share Bharti and Harsh love story. Harsh is a script writer, and has worked with Bharti in several of her comedy TV shows. While working together this couple have many opportunities to interact and they finally fell in love. It was a slow and a well thought of process. They have been together for over 7 years now. This couple is a fun couple, they believe in living the present and enjoying each and every moment that they can. You might think who proposed to whom? 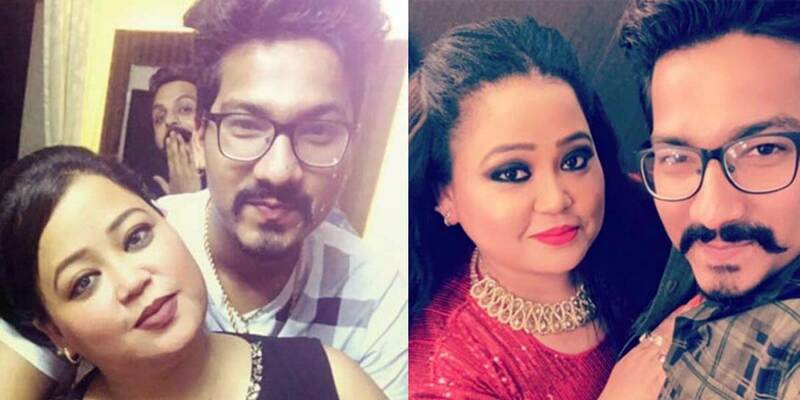 Well here is the answer, Harsh proposed to Bharti. Once in an interview Harsh said that he always wanted such a woman who would be funny, talkative and open, because he himself is a person with a quiet nature. He found it all in Bharti and is very satisfied. Bharti adds to it and said, even though Harsh doesn’t speak much but he never misses a chance to tease me. And then Bharti admits that she loves it too. She knows that this is the way in which Harsh demonstrates his love for her. It is nothing but an expression of love. This couple is soon to tie the knot. They have been engaged and their families are also very happy about it. This couple shows that you can find love anywhere- even at your work place, you just need to keep looking for it. And somethings that makes your relationship interesting is your desire to spend time with each other and enjoy every moment. Each other’s company is all your need. The simple way in which this couple expresses their love for each other is remarkable. We wish them all the luck for their upcoming future. Donald Trump’s Love Affairs more than his Current Affairs! ?